After we were upset in our first district game, I didn't know how to handle it. But then I was given the opportunity to broadcast the New Haven Lady Shamrocks district championship game, and in the following weeks, some of my anger and disbelief created by the disappointment I felt as a player on the boys team soon faded. The Lady Shamrocks were to play Bismarck for the District Championship the Friday after we had been eliminated from the tournament. When I hit the gym floor that night, I kept flashing back to the loss we had been handed just a two nights before. Why were they getting the opportunity that I so desperately wanted? Hiding my emotions, I slipped on a headset and started the broadcast for their game. That is when everything changed. As a student and classmate, I attended every game the girls played that I could. Being a .500 team, I didn't expect much out of them when March came around. When I broadcasted their District Championship, I really had a good time. Our girls had virtually no problem running over Bismarck. It all came together in the following game, the sectionals against Meadow Heights. I knew the girls were going to be tested based on the Panthers high state ranking and 22-4 record. When we pulled up to Park Hills, one of the first things I noticed was the following of the New Haven faithful. A fan bus with students and cheerleaders, along with a variety of other Shamrock fans flowed into the gymnasium. 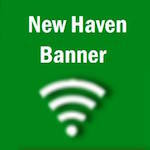 New Haven pulled out an incredible upset victory over Meadow Heights, 49-48. Af ter the game, I found myself extremely excited and overjoyed with the girls' tremendous accomplishment. My attitude began to change. I was now living my dream of going to a state Final Four through them. I wanted these girls to experience what I did not get to. And at this point, they were only one game away. New Haven was to face South Pemiscot. The Bulldogs were led by the sensational sophomore Carrie Shephard. But yet again, New Haven would not be denied. Rachel Steinhoff did an excellent job defending Shephard and Elise McDonald played with an aggressive edge. As the final horn sounded, the scoreboard read New Haven 48, South Pemiscot 42. The Lady Shamrocks were going to the Final Four. Through all of the madness, my attitude took a complete 180 degree turn. I went from a bitter sore loser who didn't even want to attend the Lady Shamrocks District Championship game, to becoming one of the biggest Shamrock fans around. I found myself researching the other teams religiously to give the girls some insight; insight that I felt was important. These girls gave me the jolt I desperately needed after being booted from my own District Tournament. The Lady Shamrocks would come up short in the state final to Harrisburg. Don't get me wrong, everybody wants to be a state champion and see their name up on the wall in the high school gymnasium. I know this group of young ladies wanted nothing but that feeling, and they were so close to accomplishing it. Instead of staying home and wondering why life isn't fair and why I wasn't in the state finals, I focused all of my energy into trying to get everything out of the girls I possibly could. I wanted nothing but the best for them. These girls helped me through a tough time in my life; they provided this town with some outstanding entertainment. Placing second out of 100+ other schools in the state is nothing to hang your head about. Helping someone in a time of need is nothing to be ashamed of either. Thank you for helping me and in a way live a dream of mine through you. I am so proud of the entire team.